Deciding what gear and clothing to take on the Shikoku Henro can be rather daunting, and might require a bit of research. The listing here focuses purely on walking, and my opinion on each item. I opted to travel as light as possible, trying to keep my total weight to under 15 kilograms. Whether you want to camp, stay in hotels and ryokans, or even do temple stays. My list isn’t the definitive list - it is merely a guide, so it's best to use it accordingly. All prices are in Australian Dollars and what I paid, not necessarily RRP. One of the best long sleeve active shirts I've ever owned, I had two of these on my pilgrimage. They are lightweight, offer excellent sun protection, and dry quickly. And even after a ten-hour walk and days without being washed - they don't smell, thanks to the antibacterial material it's made from. I originally had two of these packed, but wanting to save space, took only one. I NEVER walked in the tee; it was only worn at the end of the day. Used mainly as a casual wear shirt, it was comfortable, good to sleep in, and nice and lightweight. It dried quickly too, which was very handy when doing laundry. Unfortunately unlike the Colombia Zero Rules, it would need regular washes, easily smelling bad in a short amount of time. Lightweight, warm, and comfortable, this thermal was essential towards the end of my pilgrimage in the cold weather. Being made of merino meant that bad body odour was kept at bay for days on end. I only had one, and it was a versatile all-rounder; perfect for sleeping in, and perfect for those cold early morning walks too. I'd start walking in this, and by mid-morning I'd change into the Zero Rules. ...the Tupelo hiking pants. Unfortunately these were not my favourite item of clothing. Actually, if it wasn't for the fact that I paid nearly eighty dollars for them, I would have thrown these away whilst walking. These pants were very heavy, almost double the weight of the Quandary, and the thicker material made hot days even hotter, especially when walking roughly 30km a day. The elastic in the waist didn't work well with the backpack either, with the waist of the pants continuously cutting into my hips. The Tupelo pants got worn maybe six times max, before I gave up on them. 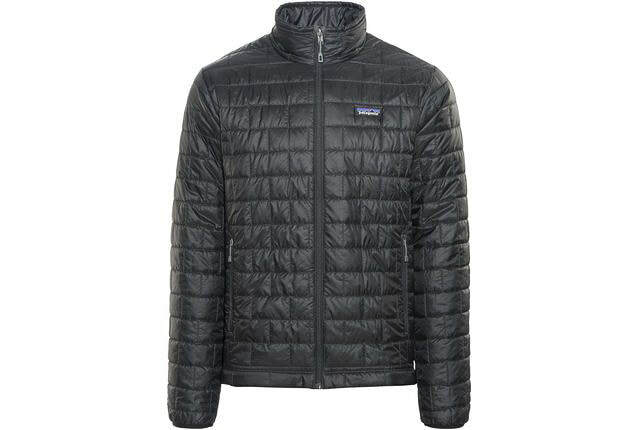 A non-down (animal friendly) synthetic puffer jacket; it's water-proof, wind-proof, and ultra lightweight that packs into itself when not used. I didn't wear this until it got much colder, but when I did - it worked wonders. It was very warm and comfortable, and when worn in the rain, even after being drenched inside and out, it would be completely dry within minutes. I found this jacket to be an absolute essential piece of gear, and a cheap buy from the Patagonia factory outlet in Melbourne, Vic. Some pilgrims go the konbini poncho, but I decided for the dedicated rain jacket. It does the job, providing you wear it correctly. Unless you do up the velcro cuffs, and use the attached hood, rain will get in. But when you are walking with a pack in humid conditions, you're going to heat up in this. On days like that though, maybe some cool rain leaking in isn't that bad after all? My hiking pants weren't water proof, but that's where the North Face Venture pants come into play. These are shell pants designed to fit over regular pants or shorts. Weighing only 218gm, I found them to be perfect for walking in the rain. It has velcro cuffs for the legs, and waterproof zipper pockets too. One of the pockets doubles up as a little carry case for them, making them a tiny package that's easy to carry around and pack away. This may sound a little unhygienic, but I only took two pairs of these. HOWEVER, they are antibacterial, synthetic, and quick to wash and dry. The costly $38 certainly isn't cheap for a pair of undies, but you definitely get value for your money with these. The company say that you can get up to seven days straight in one pair without washing, but I certainly didn't put that claim to the test. Perfect for both hot and cold days - soak it in cold water and wear around your neck when the weather is hot and humid, or wear it like a face mask when you are sleeping in a hut in below freezing conditions. Or wear it like a pirate cap when your bored and no one is watching (I only did that once). Yes, they are toe socks. For the simple reason that they eliminate blisters, particularly around the toes. I got maybe one blister on my entire pilgrimage, and I have these socks to thank. They are breathable and non-smelly, and another item of clothing that is quick and easy to wash and dry. I took three pairs of the Injijis (one pair had a cool tropical print on them too), and even today I still wear them for work and play. Consider these an investment for your feet. I only planned on taking one pair of shoes to Shikoku, so I didn't care how much I'd have to pay. 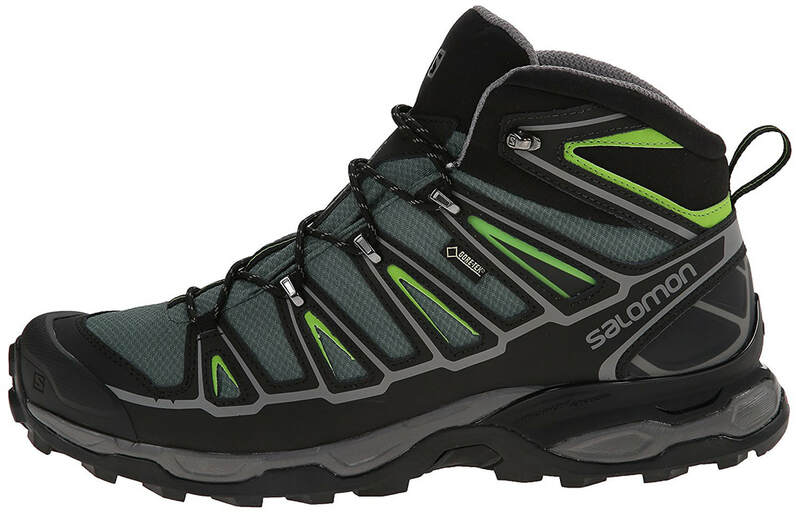 I was told that you can't put a price on the health of your feet, and the Salomons are worth every cent too. They have a Gore-Tex upper, meaning they are waterproof, and are surprisingly lightweight too. They are extremely comfortable, even after 10 hours of walking a day. The only thing I should've considered is spraying them with a waterproof solution. They aren't 100% resistant to rain unfortunately. Still, a worthy purchase. In Australia, we call them thongs. In the States - flip-flops. Whatever their name, these thongs were almost a reward at the end of a long day. Nothing beats the feeling of kicking off your boots and socks after 30km of walking, only to air out your weary and sweaty feet in style by wearing these bad boys. The Exos 48 litre backpack was the perfect size for me. I had roughly 13kg of gear, and it fit it beautifully, with space left over for food and water. It is super light, only weighing one kilogram. It has a plethora of pockets and compartments, and the mesh housing at the front almost doubled in size to carry even the most awkward of items. With the sleeping mattress strapped to the base, the Exos was easy to carry around and always had space for more. I know some pilgrims who have taken a 30 litre bag or less, but there was no way I could've gone that small. The Exos 48L was spot on. The title speaks for itself - this was required when it rained, and after 8 days of non-stop wet weather, this rain cover served it's purpose. The whole Exos was covered, except for the hip belts of the backpack which meant I had to be careful what I stored in there. Water would occasionally pool at the top of the bag too, so I'd have to be extra careful when removing the bag, so it wouldn't flow down my into rain jacket via the hoodie (it always did anyway :\ ) With the weather at times being unpredictable, I'd find myself putting the rain cover over the backpack regardless of sunshine or rain. Once I put this in the Exos, it never left. Even though the rain cover protects from most of the bad weather, the pack liner is that little bit of added protection that you may or may not want. For me, I liked having the peace of mind knowing that all my gear would be perfectly dry and in working/wearing order when I needed it. For the price you pay, it's worth it. My original plan was to take a tent and camp out in Shikoku. My future wife even bought me an awesome tent for Christmas, just for my pilgrimage. But after doing more research and speaking to other pilgrims, I decided to ditch the tent (I'm sorry honey) and opted for the mosquito net. And honestly, I'm glad I did. Instead of carrying 1.7kg of tent, I instead had 82 grams of net. The only issue was that I'd always have to be undercover, as the mosquito net offers no rain or wind protection. BUT it did protect me from spiders. And that's all I cared about. This tiny, goose-down sleeping bag was my bedding for most nights. It weighs only 475 grams, and compresses down into a convenient tiny pack when not in use. It's an all season sleeping bag, and I found it perfect in both the hot and freezing temperatures, as it also doubled up as a blanket. On the toasty nights I would open it up like a doona, and on the sub-zero nights I'd turn the TR1 into a cocoon. This is definitely one of my favourite pieces of hiking equipment. My lovely partner got this for me and I'm glad she did, since I didn't put any thought into getting one. The liner was essential for keeping the sleeping bag clean inside, especially those nights where a shower or a clean-up was impossible. It was also added warmth too, and being made of silk, extra comfort. Oh man, this mattress was comfy considering it's so thin! I probably should have gone the extra large considering how tall I am, but this did the job. It self-inflates, but I'd always blow a bit of extra air in there to really push it off the ground. A bit tricky to pack up at first, but with practice it becomes second nature. I strapped this to the bottom of the Exos, as it is still rather bulky. I wanted to like this pillow, I really did. But alas, it wasn't going to be. This was the only time where I found that ultralight actually had a disadvantage - the pillow was that light that it would not sit still at the one spot, and would want to constantly bounce. I found myself having to wrap my clothes around this pillow to get it to stay put, but even then it wasn't the most comfortable sleep. The last week of my pilgrimage saw this thing get a slow leak, so I don't think I'd get one next time. This little backpack packs down to a keyring sized little pouch. I used this bag A LOT. I'd use it to carry food when my main backpack was full. I'd use it to carry my stamp book and other items when I could leave the Exos safely behind at a lodging for a day. I'd wear it around on days off too. The only drawback was that it's not waterproof, but I wasn't bothered by that too much at all. It ended up getting a few little holes, but I got my money's worth. This dry sack was used to protect either electronics or the stamp book, depending on whether I was walking with the Exos or the 20L backpack. There isn't much to say about the Ultra Sil, but it did the job that it was intended for. An ultralight, compact, and quick drying towel. It measures 60cm by 120cm, and even though it's small compared to many towels, I had no problem being able to fully dry myself with this. This was a great purchase, and still use it quite a bit today. I bought this second, smaller towel on the assumption that it would be used as a "modesty" towel at onsens (hot springs & baths in Japan). But considering onsens supply you with this, it became useless. Plus even though it's smaller than the Dry Lite towel (40cm by 80cm), it's actually thicker than it too, and took up more space. And unlike the Dry Lite towel, it would take ages to dry itself, meaning that I'd have to hang it off my pack to dry it when strapped for time. And that's also how I lost it. I didn't lose sleep over that either. This little first aid kit contained everything that I wanted for an emergency pack. It contains bandaids, moleskins for blisters, bandages, antiseptic, even insect-bite wipes. It weighs only 104 grams and can be stuffed anywhere in a pack. I used it a couple of times (even when I had a nasty fall, it helped cover me until I got to the hospital) and would highly recommend. I bought these assuming I'd get a lot of blisters. But I didn't, so they ended up being of no use. I bought some adhesive medical tape from a ¥100 Shop in Tokushima, and used this to tape up my toes for the first few weeks, eliminating and preventing any blisters from occurring (maybe just one blister). Unlike the first aid kit, the Blister Medic was a complete waste of money. This stuff is great! I had two small bottles, and used it for anything from washing my hands or as a body wash, to using it as laundry detergent. Being concentrated, a little bit goes a long way. It has no scent too, so there was no annoying detergent smells to worry about. I bought these expecting them to be the next best thing to having a shower. But they were terrible. Imagine dunking sandpaper in a small puddle - that's what these wipes felt like to use. Plus I would have to use three or four wipes to get a thorough clean anyway (there are 12 in pack). I took four packs, and ended up throwing half of them out. Convenience stores in Shikoku sold better ones for half the price. Grape flavour were my favourite. Maybe because I love Grape Fanta every time I visit Japan. Who knows? 2. I didn't want to spend any more money on gear. So back to point 1. These were my final purchase, but I'm glad I got them. I used the smallest cube for electronics, batteries and cables, the medium one for clothing, and ditched the big one altogether. Packing was a bit like playing Tetris at first, but these cubes simplified it immensely. Used almost every night, this headlamp was a necessity. In fact, any headlamp is a necessity on the Shikoku Pilgrimage. When sleeping outdoors or other places with no electricity or lighting, it was handy to use, in particular when eating or doing other tasks that require both hands. The SEO5 takes 3x AAA batteries, and they last quite a while. The lamp goes up to180 Lumens, which pretty bright. It also incorporates a red lamp that can be set to flash - perfect as a beacon when walking through narrow tunnels with a traffic. Aah, my baby. The DJI Mavic Pro. Lightweight, portable, and easy to fly, this little beast recorded some of the most amazing photos and videos I've ever taken, in one of the most beautiful lands I've ever walked upon. The Mavic has a 7km range, and can fly as high as 500m up, meaning I could get to spots that many others simply couldn't. With 12 megapixel photos and 4k video, the image quality is amazing. Seeing temples from a birds-eye view is simply breathtaking, and the mountains around Shikoku look even better from the sky. Let me just start by saying that I'm not an Apple Fanboy. I don't have to have everything Apple. But the iPhone 7 Plus was perfect for me, and ended up being my camera too. In fact, every photo on my blog was taken on either the Mavic Pro, or this phone. Having Apple iCloud set up meant that every photo was automatically backed up, and with my partner owning an Apple iPhone too, meant that we could video chat via FaceTime almost daily. I will be sad the day this phone of mine dies, as it's never had an issue, and has helped me record some amazing memories. This is a great camera, it really is. I've had it for a few years now and It has everything for the photography nerd - 18 megapixel, a 30x optical zoom, GPS and wireless transferring of photos to any device - BUT I used it only once. I was tempted to post it back to Australia, but didn't want to take the chance of it receiving damage enroute. Like I said, it's a brilliant camera, but one I should have left at home. The Anker Powerpoint is a high speed, high output charger. I used this every chance I got, especially in convenience stores where power-points are abundant. This would charge my phone to full in less than an hour, which is extremely convenient when you are trying to walk on a schedule, or are limited for time. Having 5 ports meant that I could charge multiple items without losing charging speed too. This is a dual-voltage device, meaning that it can be used all over the world. The perfect travel companion. I found the little Mi powerbank to be an absolute necessity. With it's huge capacity of 20,000 milliamps, I could get about 5 full charges for my phone, plus the earphones, digital camera, and portable wifi hot spot (not pictured in this list). The only downfall of the Mi is that it would take a good 10 solid hours to charge it back up to full capacity (if fully depleted). Still, this thing is a beauty. This adapter completely eliminated the need to carry a laptop, or even an iPad. It's sole use was for transferring drone footage to my phone, and from there I stored it all in the cloud. It's certainly not cheap, but I suppose that's expected when you use Apple products. Do you have any questions? If so please get in touch!